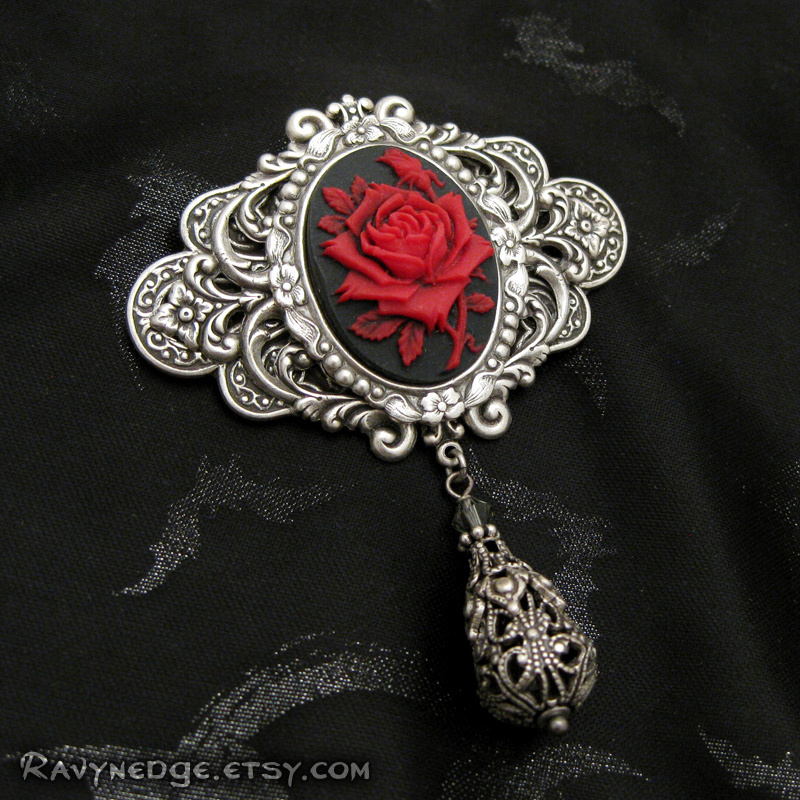 Rose Broach - Red Rose Cameo Broach or Pendant by RavynEdge. 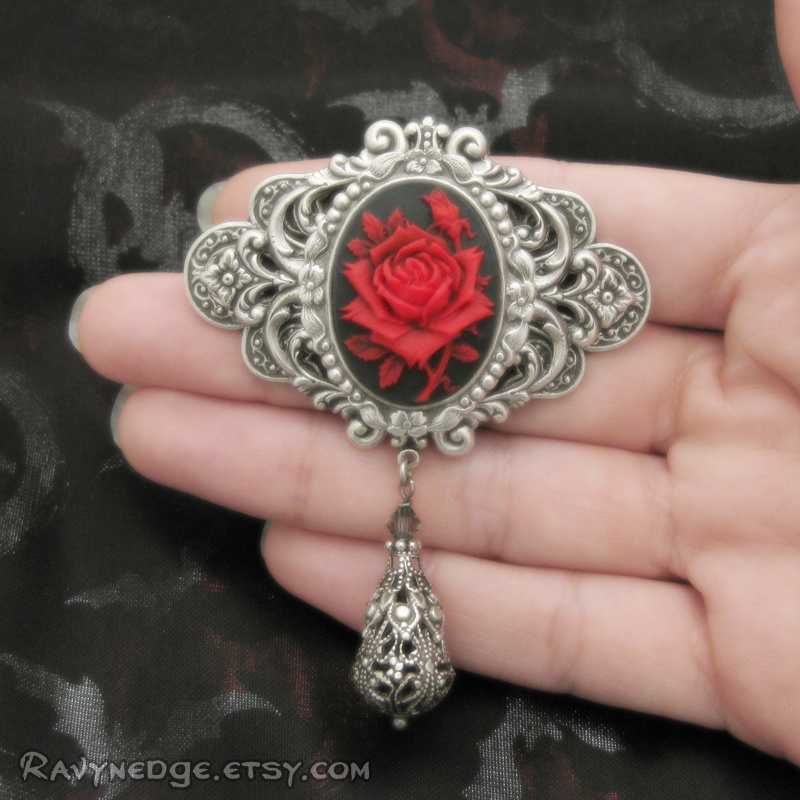 In vintage style, the most amazing cameo of a red rose is framed in flourishes of filigree. An ornate filigree bead is topped with bead caps and a Swarovski bicone.